What can people never have enough of in their shoes? Comfort! A particularly annoying problem for those with a wider than normal foot, Meindl have addressed this problem by coming up with the Comfort fit last. 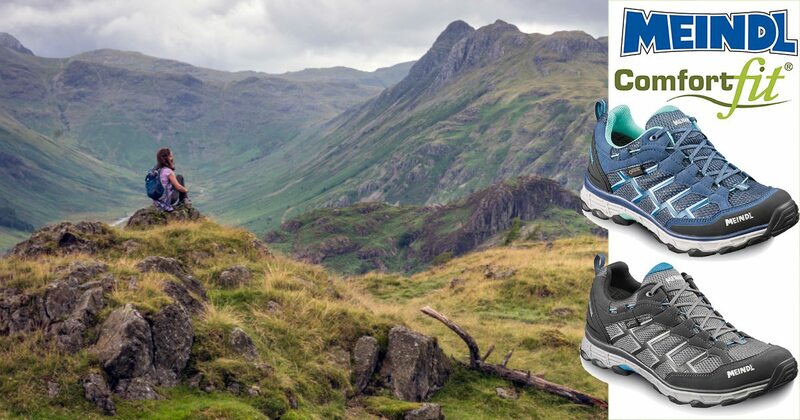 In comparison to a standard trekking boot last, their Comfort fit® last has more space at the front of the foot with a firm grip on the heel. You stand on a wider base. The more defined contour enables easier rollover when walking. The last is featured in a wide range of their styles covering boots for full on trekking, general hill walking, light hiking and everyday use. In their hiking boots, there’s even more comfort as they come with a free pair of cork in-soles, an upgrade on the standard air active ones. 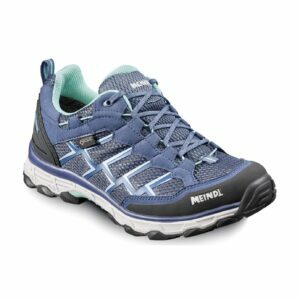 To further promote the fit, Meindl have given us 2 pairs of their Activo GTX shoes to give away. With the comfort fit underfoot, you benefit from having more room for toes and more capacity for a wider foot, more ball width and straight adjustment of the big toe, a wider stance due to wider sole base plus perfect fit due to the snug-fitting heel. For your chance win, see the entry form below, answer a simple question and enter a few of your details. Full terms and conditions. 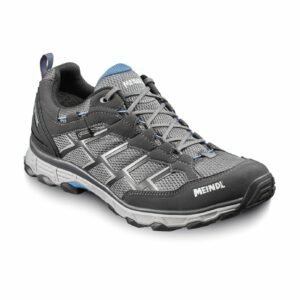 The following are the terms and conditions of the Great Outdoors Meindl Comfort Fit Giveaway. Your participation in the competition shall be deemed to be your complete acceptance of the terms and conditions herein. •A condition of entry is that you agree to opt in to receive emails from ourselves which is Great Outdoors & The North Face Store Temple Bar and also from Meindl UK. To unsubscribe in the future, simply use the unsubscribe link in any of the emails you receive or reply to one and ask. •The winners will be announced via social media channels on Thursday, June 21st. •Closing date for all applications is Midnight on Wednesday, June 20th.